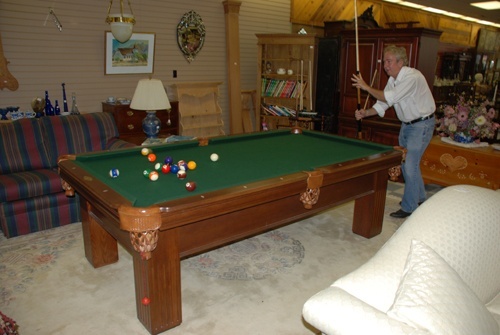 At Charlies II in Lightfoot we have an oak pool table handmade by Greg Dobbs out of Atlanta. It is for sale even though Charlie would really be sad to sell it because if you cant find him up front its a sure bet he is shooting someone a game of pool in the back! So drop on by if you need a pool table and try it out.